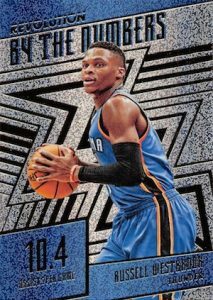 Continuing the path laid down by the debut release last year, 2016-17 Panini Revolution Basketball maintains its fixation on wild designs. While autographs are not guaranteed by the box, collectors can still find a good selection of inserts and parallels and a shot at some signed cards. 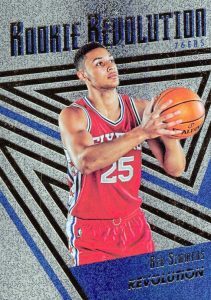 Bold and bright, the base set comes in a main design for stars and top rookies while Fractal and extremely short-printed Galactic editions slightly alter the look. 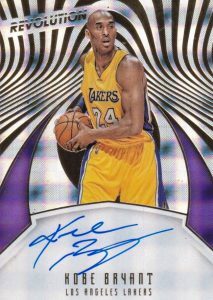 A total of seven parallels enhance the base set with a holographic shine and swirling ribbons. Each hobby box should contain at least eight parallels with one being serial numbered to 100 or less. 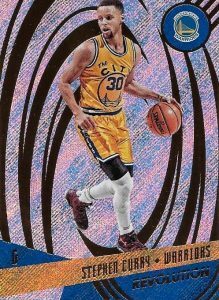 Not the focus of this 90s-inspired set, hits still appear, but in smaller amounts. 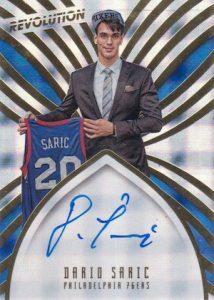 Averaging two per inner case (eight boxes), rare Autographs and Rookie Autographs come in low-numbered designs like Futura and Kaleido (1/1). 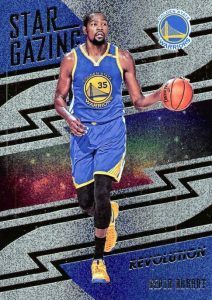 2016-17 Panini Revolution Basketball inserts take a similar approach with several dynamic themes. This includes By The Numbers and Star-Gazing. 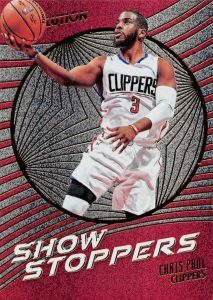 More limited, Showstoppers highlights 12 top NBA players. PARALLEL CARDS: Astro, Fractal, Galactic, Infinite, Cosmic #/100, Sunburst #/75, Futura #/25. PARALLEL CARDS: Futura #/25, Kaleido 1/1. 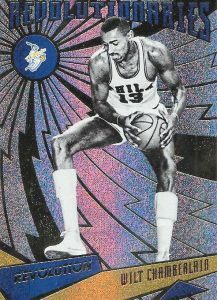 PARALLEL CARDS: Galactic, Cosmic #/100.